coffee machines and dishwashers make life in the kitchen a daily pleasure. Simultaneous cooking with no flavour transfer. Cooking a three-course meal but short on time? 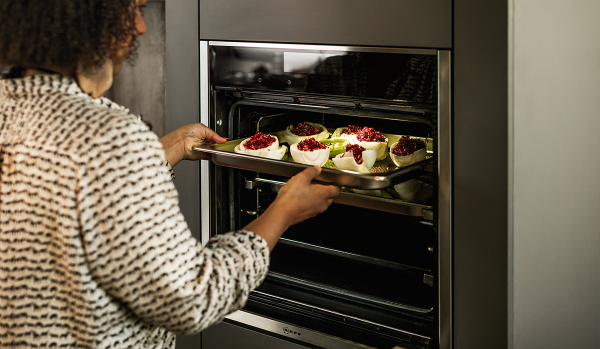 CircoTherm® lets you cook on up to four levels at once without mixing flavours, so fish, meat and muffins are not a problem. It’s an entertainer’s dream. Professional steam techniques at home. Cook with a better view. There’s no need to open the door and lose heat, just to get a view of how your dishes are progressing. NEFF allows you to do this from the outside, with patented technology that distributes brilliant light into all levels. Induction control that’s more responsive. Where surface grease and oil can make touch controls frustratingly unresponsive, the TwistPadFire® makes it easy. Just place the magnetic dial in the control area and press toward the zone you want to adjust. When it’s time to give the surface a clean, simply lift it away! The perfect flame height for every dish. 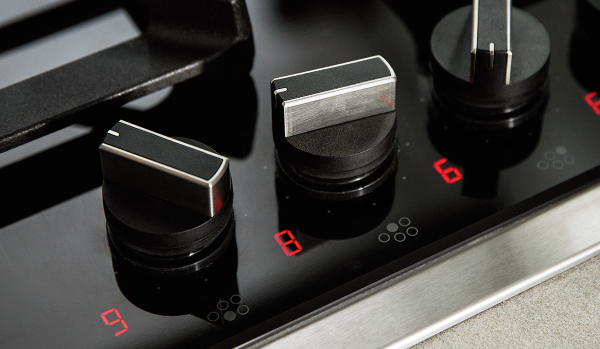 With nine pre-set flame heights controlled with click-step dials, NEFF brings the consistency and precision of induction to gas cooktops. You can even get down to a tiny, almost imperceptible flame – perfect for low-heat cooking. passionate about food and love the time they spend cooking.